Coronado Real Estate is considered to be some of the most desirable real estate in the San Diego area. Coronado is unique island located just west of the San Diego downtown area. It's probably most well known for the historic Hotel Del Coronado which offer iconic 19th century style architecture with luxury hotel suites and Villas that are available for sale. Homes in this area have a lot of charm and personality and real estate prices tend to be a lot higher than other parts of San Diego. The Baby Del pictured above is a perfect example of architecture for this area and the owner of this property is very nice too! 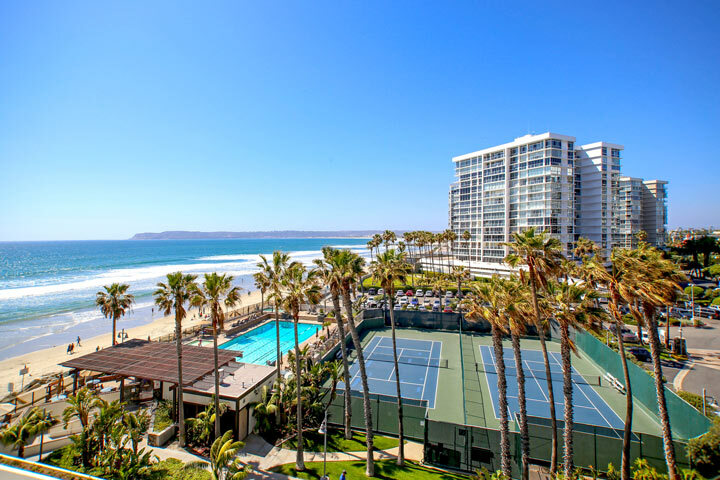 There are three main areas of Coronado when looking for a home or condo. First, the Coronado Village area is considered the main part of town and has the highest concentration of homes. There are many great restaurants and retail stores in this area as well as the Ferry which connects to the mainland of San Diego. Second, the Coronado Shores area is a collection of 10 luxury condo buildings that offer both Pacific Ocean and San Diego bay views. The Coronado Shores homeowners association provides numerous amenities which include multiple pools, spa, tennis court and clubhouse. This is a great place to look for a view condo. Finally, the Coronado Cays neighborhood offers water front and bay close homes. For those looking for a home with it's own private boat docks with views of the San Diego skyline this is the place to look. Please look through these listings and contact us at 888-990-7111 with any questions or showing requests. The city of Coronado is a great place to live filled with a lot of history and charm. Here is your guide to Coronado Real Estate no matter if you are looking for a Coronado home for sale or a Coronado home for rent, we our your Coronado rental property specialists! If you are new to Coronado it can seem a bit overwhelming. We have broken down the different areas of Coronado here below. Interested in Coronado Real Estate for sale? For a complete list of Coronado homes for sale please visit our Coronado MLS search. All Coronado homes and Coronado Condos for sale are also listed below in the various Coronado neighborhoods. Questions? Let our team of Coronado Realtor Associates help you. Please contact us at 1-888-990-7111 today for a quick response.